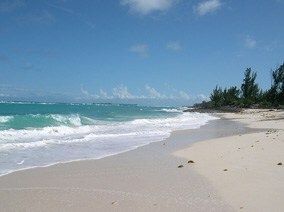 Remote beaches in the Bahamas abound in Abaco. 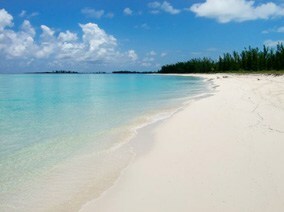 Many of the Bahamas beaches are white sandy beaches uncrowded and unspoiled by excessive tourism. 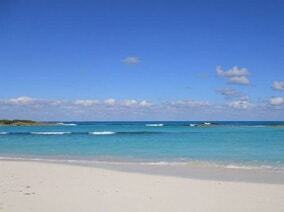 Green Turtle Cay offers some of the finest beaches in the Caribbean. One can easily find long stretches of pristine beaches whether exploring on a golf cart or by boat. 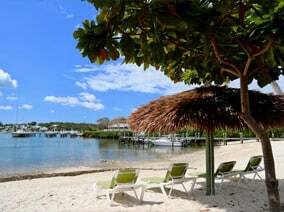 White Sound Beach is just steps away from your door at The Green Turtle Club. Relax in the sun, wade in the water, or take comfort in the shade under one of the thatched umbrellas on one of our brand new beach loungers. White Sound Beach is a beautiful location for weddings and special events. Ocean Beach is a ten minute walk from The Green Turtle Club; or is easily accessible by golf cart. This long strip of white, sandy beach is often referred to as “North Pointe Beach” and “Middle Beach”, and is heaven under the sun. Ocean Beach is great for snorkeling as a beautiful stretch of barrier reef lies just off shore. Coco Bay Beach is located a short distance behind the pool rooms at The Green Turtle Club. The beach has a great location and can be reached by walking from The Club, or by golf cart. This little white sand beach is protected on windy days. Its quiet waters are shallow enough to wade out, or sit in and sun while the rippling water keeps you cool. This beach is popular for small children due to its calm, shallow waters. A quick golf cart ride from The Club, Bita Bay Beach is a piece of paradise. This peaceful beach is protected from northern and western winds. The clear water is perfect for wading, swimming, and for novice snorkelers. Two small reefs make the waters here fun and easy, especially at low tide. 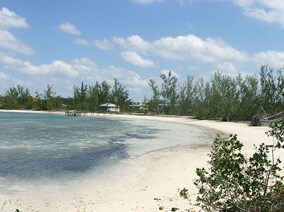 Bita Bay Beach runs south almost one mile to Long Bay. Gilliam Bay Beach is just south of Bita Bay and is a stunning long stretch of white sandy beach great for walks and searching for shells. The beach is close town and is a great spot for afternoon picnics. Waters are normally calm and great for swimming.